One of the biggest expenses facing a young company, especially one operating in a big city like London, is establishing some kind of office space. Thanks to the advent of new technologies, though, there are now services that can provide a small companies with the all the main features of a traditional office, all without ever having to relocate from your home office. Virtual offices gives you access to a business address, a receptionist, and even business lounges. Establishing yourself in a competitive industry is never easy, but with a prestigious City of London address behind your name you can give your business a good start. Specialists such as Leo can offer you the choice of an address in desirable areas like Mayfair, Belgravia & Knightsbridge, and in the heart of the City. Your new business address can be as a part of your company stationary, website and in your email signature. Mail can be collected or posted once a week to any address in the UK or, for an additional charge, on a daily basis to multiple UK address or internationally. The start of any business is made up of lots of little jobs and keeping track of incoming calls and messages is one that can get quickly out of hand. A missed message could mean the difference between an important order and excess stock too. Rather than spending money employing a PA, your London address comes with a 020 7 telephone number where all your calls can be answered 24/7, 365 days a year by a team of professional receptionists. Calls can be forwarded to any member of your staff, while a summary of all the daily communications can also be emailed to you at the end of the day so you’re always on top of what’s going on. Finally, many virtual office providers also allow you to make use of their other facilities, like business lounges and hot desks. 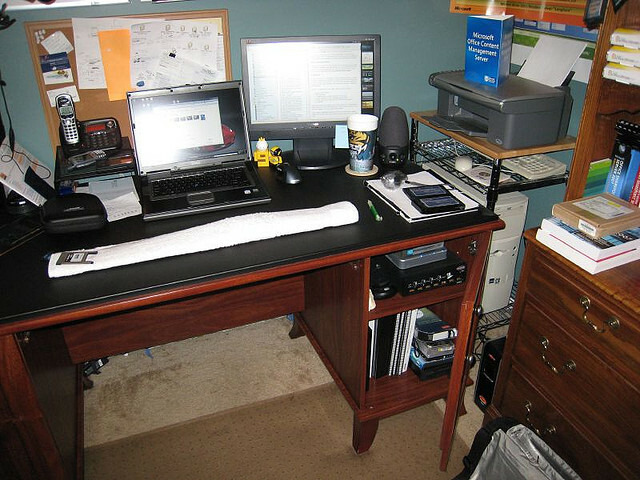 Hot desks are ideal for those working from a home office. If you have family visiting or your internet is down, you’ll be able to use one of the many locations in the capital to make sure the downtime doesn’t affect your workflow. Similarly, a business lounge provides a great spot to meet up with clients or potential business partners. Setting up your own business is always full of risks. This is why it’s crucial that you’re aware of any way you can cut costs, without cutting quality. A virtual office makes sure that even a small company working on a budget gets all the services it needs.